If you’re looking for a natural, ergonomic, safe, and comfortable bouncer, then this could be your pick. It only lasts for up to 20 pounds (or 4-6 months) but you will get your use out of the Stokke Steps Bouncer if your baby’s a fan. It promotes healthy physical and emotional development and keeps babies content for good lengths of time. Stokke has always been focused on designing premium baby accessories and furniture, and it doesn’t stop with this product. The Stokke Steps Bouncer is a very versatile, safe, and comforting bouncer that grows with your baby from day one. A unique aspect of this bouncer is that it’s compatible with a system of products that includes a bouncer that is good for up to 20 pounds, and a highchair that can be used up to age 10…Yes, age 10! Although the Stokke Steps Highchair is not included with this system, it was designed to be used with the Stokke Steps Bouncer. Due to this awesome feature, a few aspects of the bouncer being used with the chair will be reviewed as well. Keep in mind that we are only reviewing the Stokke Steps Bouncer in this article. A newborn insert is included with this package and ensures that your little one will be properly supported while in the bouncer. Stokke designed this bouncer to be used straight from birth up until your baby is 20 pounds. A newborn insert is included with this package and ensures that your little one will be properly supported while in the bouncer. 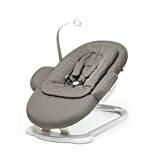 The newborn insert was developed by Stokke in collaboration with a Pediatric Physiotherapist, giving the insert and bouncer awesome ergonomic support for baby. A 5-point safety harness is included with the Stokke Steps Bouncer and it is made to buckle your baby in by the shoulders and waist. This ensures that your baby isn’t going anywhere, even if they are having a little bouncing party. The base is very sturdy on the Stokke Steps Bouncer so you don’t have to worry about the bouncer sliding across even the most slippery of floors. As part of the Stokke Steps System, the bouncer does clip into the Stokke Highchair, allowing baby to be close to the family during meal time. Another great safety feature is that the bouncer does not bounce while it is clipped into the highchair. Stokke had baby’s comfort in mind when they designed the Stokke Steps Bouncer. 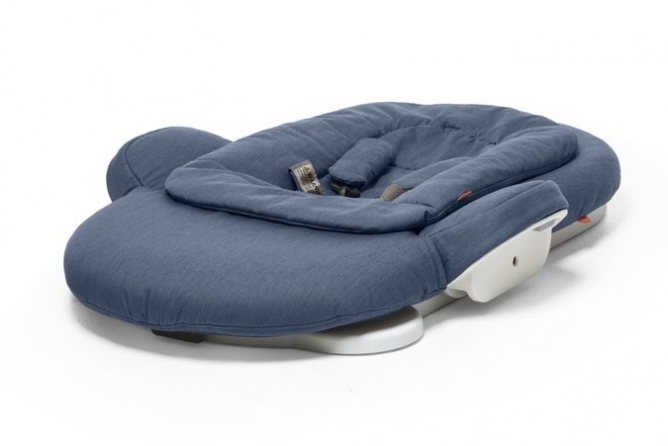 A cushioned seat supports your baby and provides a cradling feeling similar to being in your arms. 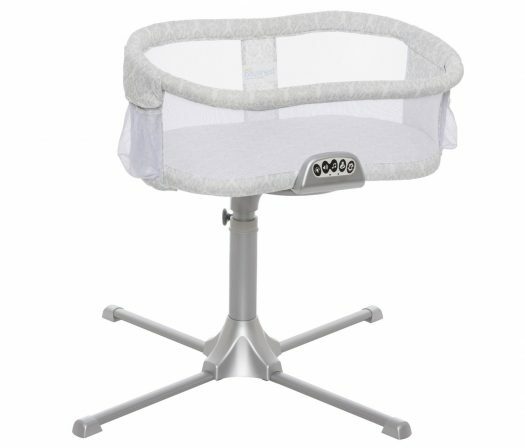 Along with the newborn insert, the bouncer provides amazing ergonomic support and is so comfortable that you’ll wish you could nap in it. The 5-point harness comes with padded shoulder straps that prevent rubbing on their fragile little body. The bouncer provides amazing ergonomic support and is so comfortable that you’ll wish you could nap in it. This bouncer runs on pure movement on baby’s end and bounces at the touch of a feather. Promoting strength and development while also teaching your little one to calm and entertain themselves was the idea behind the Stokke Steps Bouncer. Gentle bouncing motions provided by the bouncer are soothing to many babies and helps prevent overstimulation from constant movement found in other bouncers. In addition, a detachable toy hanger (that doesn’t come with any toys) allows you to hang baby’s favorite toy for them to play with. 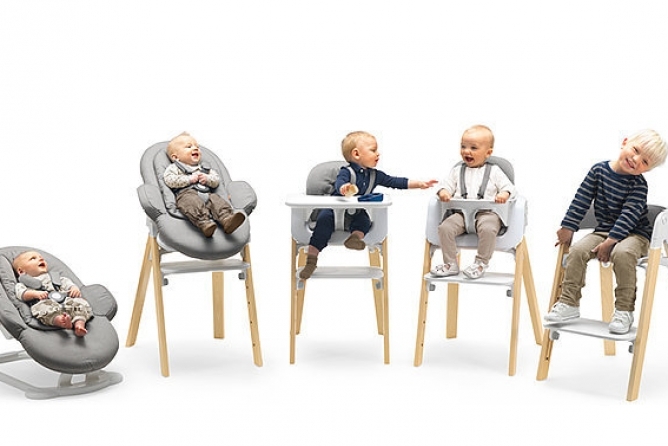 A great feature of the Stokke Steps Bouncer is that it is adjustable up to four different positions. This allows the bouncer to grow with your baby and his or her ever-increasing weight and mobility. Every different position is designed to support them in different stages of growth and provide maximum comfort for their size. Size is not an issue with this little bouncer. While open, it has a width of 21 inches and a height of 25 inches. Even better, the Stokke bouncer folds flat for easy storage and transport, perfect for tight spaces. It also only weighs around 7 pounds, everything included. So no need to break your back moving around the Stokke Steps Bouncer. The key to a baby’s happiness sometimes depends on the performance of the baby gear. There’s nothing lacking with the Stokke Steps Bouncer when it comes to performing well, especially for a non-electric bouncer. The four different seating positions are easily adjusted by simply twisting the turnbuckle found under the seat. This helps to better accommodate your babe’s increasing weight. The four different seating positions are easily adjusted by simply twisting the turnbuckle found under the seat. Even though it might seem silly, one feature that many parents look for in baby gear is how easy it is to wash the material. With this bouncer, the fabric is removable and machine washable. Although a seemingly simple feature, this is a priceless plus to the Stokke Steps Bouncer. In addition to these easy use features, the Stokke Steps Bouncer can be mounted onto the Stokke Easy Steps Chair. This allows baby to be close during mealtimes and you can possibly eat with your own two hands. Crazy, right? Life for the Stokke Steps Bouncer used by itself isn’t very long. With a max weight limit of 20 pounds, you’d be lucky if the bouncer lasted 4-6 months. However, if used with the Stokke Steps Highchair, this bouncer has more versatility and the chair itself can last for up to 10 years. The timeless design of the Stokke Steps system ensures that this gear will be in style for the long haul, and you won’t feel embarrassed keeping the bouncer out with its sleek design. 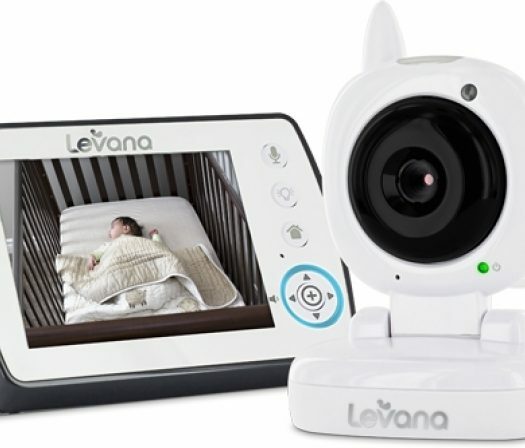 Although this bouncer is on the pricey side, there are many features that make it worth the spending. 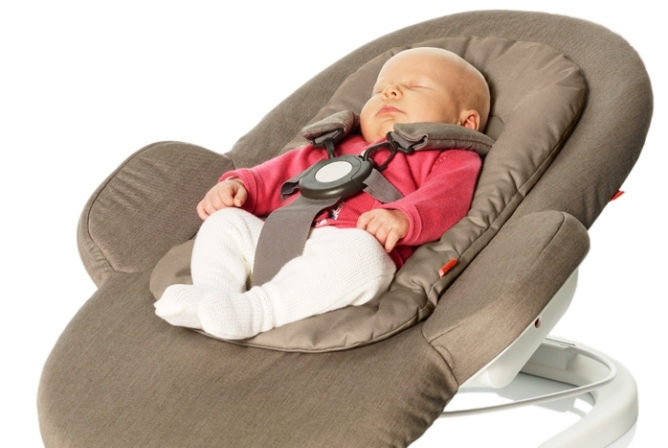 First and foremost is the safety and comfort of the Stokke Step Bouncer. Designed to make your little one feel like they are wrapped in your arms is a top feature. 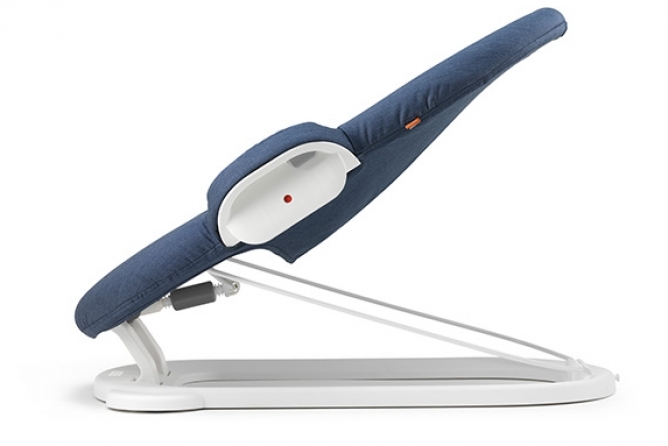 The ergonomic design is also safe for your baby’s posture and development. Many parents claim that it keeps their baby comfortable and preoccupied for solid lengths of time. It is made to fit in with the best of the baby bouncers. Many parents claim that it keeps their baby comfortable and preoccupied for solid lengths of time. This in itself is worth the price to many parents allowing them to complete a few tasks around the house. This means you might even get to take a shower! Another great aspect that makes the price worth it is the included accessories. With many systems, added accessories are extra purchases which mean extra money on top of an already expensive bouncer. This isn’t the case with the Stokke Steps Bouncer. The newborn insert, as well as the detachable toy hanger, are included with this package increasing the value of this buy. But, as with all expensive baby gear, it’s important to keep your receipt in case your baby isn’t in love with the purchase. The newborn insert, as well as the detachable toy hanger, are included with this package which increases the value of this buy. Lastly, even though the Stokke Steps High Chair is not included, it’s worth noting that although this may be another expensive buy, the chair can be used with the bouncer. The chair is also a multi-stage convertible chair that by itself can be used up to age 10. The chair provides great ergonomic seating options for young kiddos and is stylish enough to fit in with the rest of your dining room furniture. Use for the Stokke Steps Bouncer goes above and beyond the average bouncer. It is designed to be used with the rest of the Stokke Steps products allowing you to get your money’s worth. Stokke has always been focused on designing premium baby accessories and furniture, and it doesn’t stop with this product. Their products are made to enhance child and parent bonding as well as healthy development for young kiddos. Stokke is even known for winning the Red Dot Award for exceptional design multiple times for the Stokke Step System, including the bouncer. Ultimately, this the Stokke Steps Bouncer isn’t a high-tech product but has an exceptional design with baby in mind. It promotes healthy physical and emotional development and keeps babies content for good periods of time. Any time a baby is content in a bouncer for more than 5-10 minutes makes it a success. But many parents have claimed that this bouncer keeps their baby occupied for 20 minutes or longer. However, keep in mind that your baby might not be a fan so it’s best to keep the receipt in case you want to return it. If you’re looking for a natural, ergonomic, safe, and comfortable bouncer, then this could be your pick. It only lasts for up to 20 pounds (or 4-6 months) but you will get your use out of the Stokke Steps Bouncer if your baby’s a fan.